Hwangdol is Pansuk's dog that he got to compete with Sol over who had the better dog. Hwangdol is cowardly most of the time and he's always hungry. He and Max grew up together so they are very close. Max is definitely the smarter of the two. 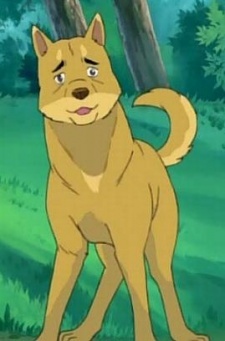 Hwangdol sometimes has to take mild abuse like an occassional slap from Pansuk,but he is not afriad of humans because he has a good relationship with Dong and Sol who treat him kindly.